Silver Screen Surprises: Review: Before "The Blacklist," James Spader Walked the Line Between Good and Bad in "Bad Influence" and "Jack's Back"
Review: Before "The Blacklist," James Spader Walked the Line Between Good and Bad in "Bad Influence" and "Jack's Back"
On "The Blacklist," James Spader masterfully portrays a mysterious criminal-slash-informant, the morally-ambiguous Raymond "Red" Reddington. As it turns out, he's had some practice. This is far from the first time Spader has had to tiptoe between innocence and guilt. In the spirit of the over-the-top popcorn fun of "The Blacklist," I've picked two films from Spader's large body of work that aren't afraid to be excessive and more than a little bit ridiculous. The premise: a mild-mannered young executive becomes influenced by a dangerous new friend. 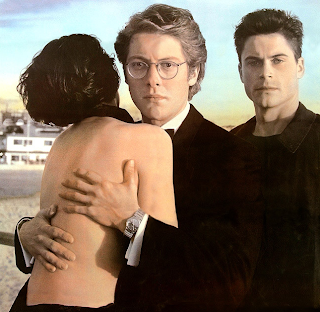 I went into "Bad Influence" expecting Spader to play the bad guy, with Rob Lowe portraying his pal-in-peril. Instead, the opposite occurs. Being cast against type at the time is likely what attracted both actors to the film. Michael (Spader) is a mild-mannered executive who can't stand up for himself in any aspect of his life. He's taken advantage of at work by a jerk named Patterson, stuck in a relationship with a domineering fiancée, and bullied at bars – until Alex (Lowe) "saves" him. You know Michael is an innocent little lamb because he wears glasses – the ultimate symbol of weakness in any respectably cheesy '80s or early-'90s flick. Under Alex's "bad influence," it isn't long before the meek Michael becomes the swaggering Mick. At first, Alex's friendship seems like a positive development for "Mick." Of course, as the audience already knows, that honeymoon period won't last. Soon, things turn [cue dramatic music] deadly. 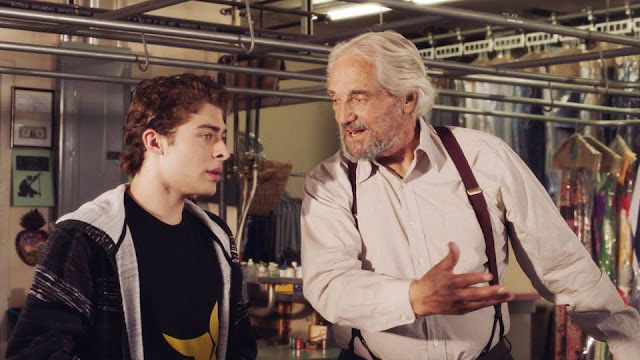 Michael would have cowered in the fetal position, but Mick has a slightly better handle on things – thanks, ironically, in part to what he's learned from his "mentor," Alex. It's fun watching Spader's transformation. The editing is particularly well done. On occasion, we won't be shown certain scenes or actions we're expecting to see. What initially seems like a clumsy cut eventually reveals itself as a deliberate omission to ramp up the mystery and tension. And yet, despite being completely preposterous, the movie still somehow works. It has that certain feel and charm you only get from something made in the '80s and very early '90s. It's no great work of art, but it is a good time! This formula would be tweaked and refined in the coming years by various Lifetime TV movies of the week (with Lowe himself even appearing in one or two of them). The fun thing about revisiting the earlier portions of an actor's career is seeing which other future stars turn up. Spader's girlfriend is played by a young Marcia Cross, who seems slightly unhinged even here – a trait she would later perfect in "Melrose Place" and "Desperate Housewives." But she has nothing on Lowe. It would not surprise me if he was legitimately on drugs like his character during the shoot. He brings a maniacal, Joker-like quality to his role. In "Bad Influence," Spader essentially plays a good guy with some shades of gray. For "The Blacklist," the scale seemingly tilts in the other direction. Either way, that type of duality has always been one of the actor's strengths. 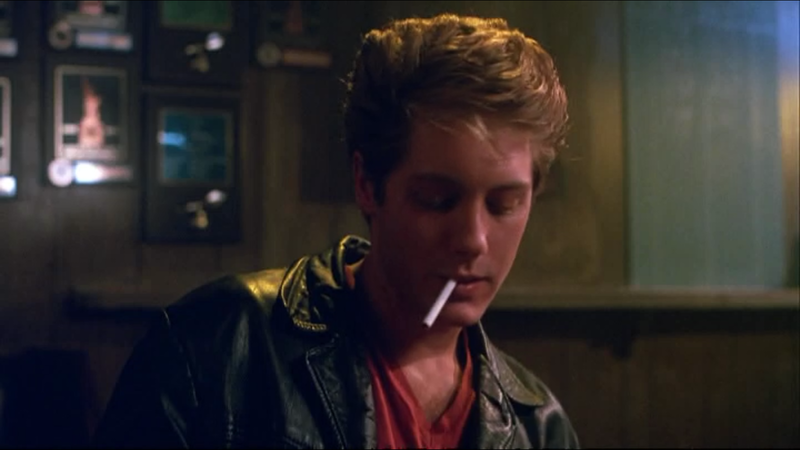 Two years earlier, Spader literally played two very different people in the same film: identical twins – one nice and the other "naughty." John Westford is a nice, shy doctor who works at a free clinic. Rick Westford is a former career criminal who hasn't spoken to his brother in two years. Both are played by James Spader. Needless to say, Rick's "tough guy look" was menacing for about five seconds in the mid-1980s before the fashion world moved on and common sense took over. It's dated – but funny – by today's standards. "Jack's Back" is definitely a product of its time, but that makes it even more enjoyable, not less. As far as storylines go, this is a pretty good one: 100 years to the day of Jack the Ripper's famous slayings, a copycat killer is going around recreating them down to the finest detail. The innocent, bespectacled doc is somehow accused of the crime. The only person who can clear him is his chain-smoking, leather-clad, "bad" twin brother. This is your basic whodunit mystery thriller. There's nothing fancy about it, just good, clean '80s fun. Spader's presence is what makes this one stand out. Not entirely unlike "The Blacklist's" Reddington, the "tough" twin in "Jack's Back" is definitely more of an anti-hero. Then again, how bad can he really be? He manages a shoe store!